Previous research has demonstrated that deficient levels of vitamin D may increase the risk of developing diabetes. 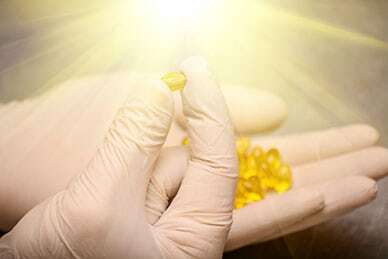 The most recent study on the subject, which was published in the scientific journal PLOS ONE, offers support for this significant connection between vitamin D and diabetes. In a recent study carried out by a team of researchers from the University of California San Diego and Seoul National University involved 903 healthy adults with an average age of 74 who had no indications of either prediabetes or diabetes. Researchers followed the participants for 10 years, measuring their levels of 25-hydroxyvitamin D, along with fasting plasma glucose and oral glucose levels. 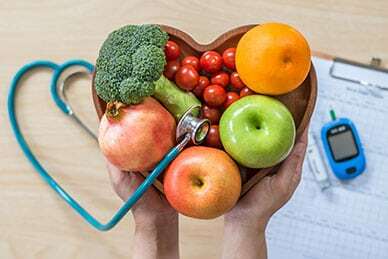 Among the participants, there were 47 new cases of Type 2 diabetes and 337 cases of prediabetes, which is when blood glucose levels are much higher than normal but not yet high enough to be considered Type 2 diabetes. Researchers noted the minimum healthy level of 25-hydroxyvitamin D as 30 nanograms per milliliter — 10 nanograms per milliliter above the level originally recommended in 2010 by the Institute of Medicine, which is now part of The National Academies, a health advisory group to the federal government. Co-author Dr. Cedric Garland, of the University of California San Diego, noted that those with 25-hydroxyvitamin D levels below 30 nanograms per milliliter were considered to be vitamin D deficient. The researchers found that people with a deficiency were up to five times more likely to develop diabetes than people with levels above 50 nanograms per milliliter. According to Dr. Garland, people would have to supplement with 3,000 to 5,000 international units of vitamin D every day in order to reach the minimum of 30 nanograms per milliliter. Dr. Garland, who has led previous investigations regarding the connection between vitamin D levels and various cancers, noted that this study builds upon previous epidemiological research that links vitamin D deficiency to a higher risk of developing diabetes, but he cautions that epidemiological studies are not necessarily proof of causality. "Further research is needed on whether high 25-hydroxyvitamin D levels might prevent Type 2 diabetes or the transition from prediabetes to diabetes, but this paper and past research indicate there is a strong association,” Dr. Garland concluded. Most people are likely aware of vitamin D’s essential role in the body’s ability to absorb calcium, but vitamin D is also critical to the body’s immune, musculoskeletal and nervous systems. Not getting enough vitamin D has the potential to affect the entire body and can possibly lead to the onset of certain diseases and illnesses. Vitamin D deficiencies are extremely common. An estimated 1 billion people globally have low levels of vitamin D in their blood and around 42 percent of adults in the US are deficient. Most people don’t even realize that they are deficient because the symptoms are generally so subtle that they may not be recognizable even if they are having significant impacts on their quality of life. Spending too much time indoors means that you’re not getting enough exposure to the sun’s beneficial ultraviolet-B (UVB) rays, which are necessary for the skin to convert cholesterol into vitamin D.
Wearing high-SPF sunscreen has the same effect as staying indoors since you are decreasing your exposure to UVB rays. Living in a highly polluted area can also affect how much sun exposure you receive due to the air pollutants blocking out and absorbing sunlight. Having darker skin increases the risk of deficiency due to darker skin needing more sun exposure to absorb adequate amounts of vitamin D.
Gut health may play a factor in deficiency, as disorders such as Crohn's disease decrease the intestines’ ability to properly absorb nutrients such as vitamin D.
Being overweight is a leading risk factor for deficiency due to how excess body fat affects the absorption of vitamin D.
Chronic liver or kidney disease increases the risk of deficiency due to preventing the body from being able to convert vitamin D to its usable form. Age is another factor in deficiency. As we get older, our ability to absorb and convert UVB into vitamin D declines.